Many owners of the Ford Focus MK2 RS are very worried about theft. With thieves being able to clone a key within 30 seconds they are one of the main targets within the UK. Due to there increasing value they will still be a major target for years to come. 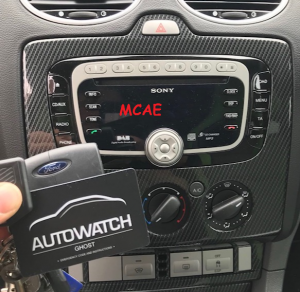 This owner decided to go for the Autowatch Ghost ADR this allows the customer to enter the vehicle without having to enter a code every single time the ignition is turned on via the interior buttons. The only downside to the ADR model of Autowatch ghost is there is no iPhone app connectivity. If in the event of a flat battery within the ADR tag the system can always be turned of via the programmed button sequence. The Autowatch Ghost automatically rearms every time the vehicle is turned off for more than 3 seconds. meaning you can never forget to re-arm the device. If your looking for excellent security the Autowatch Ghost ADR is the system for you. Offering invisible protection which a thieve wouldn’t even know that the device has been fitted to your Ford Focus RS. 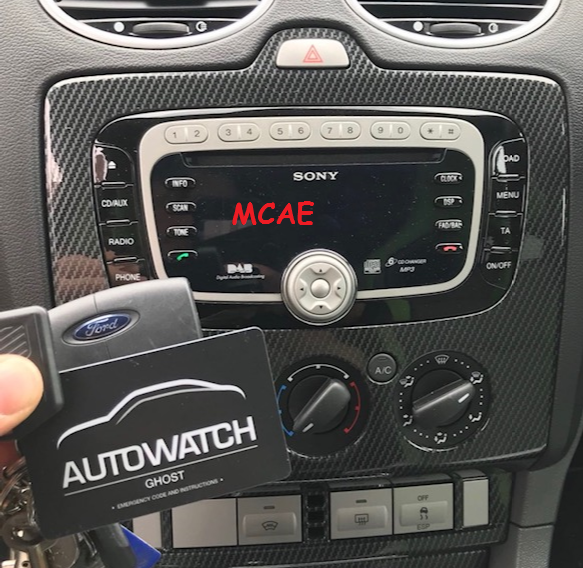 We are fully approved Autowatch Ghost installers in Essex.